War can be declared at any moment. The first side that sends in a War Ticket will be considered the “Attacker” - this must also contain reasonable war demands. Once the War Ticket has been reviewed and approved, they must also make an official in-character war declaration on the forum notice board. When a War is declared, 3 days are given so all allied claims of each side can sign on. Only members of signed on claims can participate in scheduled events. While at war, you can only raid your opposing faction once every week. If there are multiple guilds in each faction, you can raid every claim each week, but it must all be done on the same day. The war will occur in a series of field battles and sieges. Leaders of each faction will come together and talk about time and date. Sides must try to find a middle ground that works for both, if not the GM team will make the final decision regarding time and date. Whenever a side wins a field battle, they will go on to siege the losing side. If they win the siege they win the war. If they lose a siege, another field battle will be held. After 3 sieges the war will come to an end. When a war ends, there will be a period of enforced peace where neither side is allowed to attack one another for a total of 2 weeks. During a siege, JH (Judgement Hour) will be turned on strictly for the claims at war. Only the claim being attacked may have it’s structures destroyed, and only structures directly in the way of a specific goal may be destroyed. Any other kind of desctruction or looting will be considered OOC griefing. In order to win a siege, the attackers must capture and hold the monument for 5 minutes. A GM will keep a timer on the monument. Decisive - Occurs when a siege is won. All three tiers of demands are enforced. 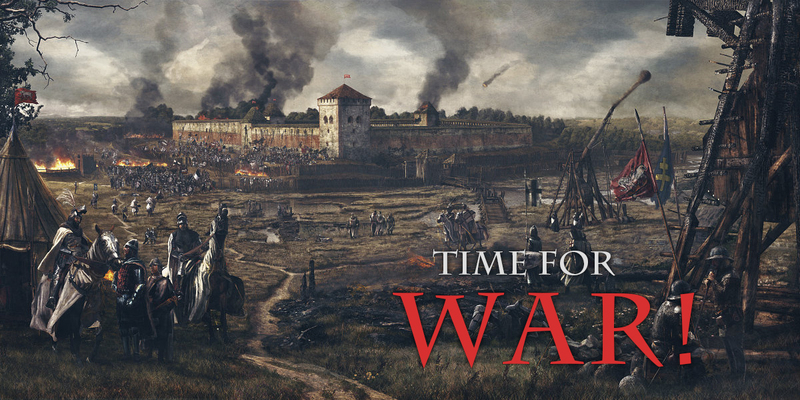 Costly - Occurs when a siege is not won and someone wins 3 of the field battles. Only first two tiers of demands are enforced. Pyrrhic - Occurs when a siege is not won and someone wins only 2 field battles. Only first tier of demands are enforced. Draw - If more than 2 weeks goes by with no battles/siege taking place, the war will have been concluded.